Answering the issue whether the Appellate Tribunal under the Securitisation and Reconstruction of Financial Assets and Enforcement of Security Interest Act, 2002 (“the SARFAESI Act”) has the power to condone delay in filing an appeal under Section 18(1) of the said Act, the Supreme Court has overruled the contrary view taken by the Madhya Pradesh High Court and upheld the views taken by the Andhra Pradesh, Bombay and Madras High Courts, though for different reasons, that delay in filing an appeal under Section 18 (1) of the SARFAESI Act can be condoned by the Appellate Tribunal. While Madhya Pradesh High Court in M/s. Seth Banshidhar Media Rice Mills Pvt. Ltd. vs. State Bank of India, AIR 2011 MP 205 held that delay in filing an appeal cannot be condoned by the Tribunal, the Andhra Pradesh High Court in Sajida Begum vs. State Bank of India, AIR 2013 AP 24, the Bombay High Court in UCO Bank, Mumbai vs. M/s. Kanji Manji Kothari and Co., Mumbai, 2008 (4) MhLj424 and the Madras High Court in Punnu Swami vs. The Debts Recovery Tribunal, 2009 (3) BJ 401 had taken a contrary view. The Apex Court after referring to the relevant statutory provisions said that the provisions of the RDB Act stand incorporated in the SARFAESI Act for disposal of an appeal and once it is so, the SARFAESI Appellate Tribunal can entertain an appeal beyond the prescribed period on being satisfied that there is sufficient cause for not filing such appeal within that period. “A bare perusal of the said Section 18(2) makes it clear that the Appellate Tribunal under the SARFAESI Act has to dispose of an appeal in accordance with the provisions of the RDB Act. In this respect, the provisions of the RDB Act stand incorporated in the SARFAESI Act for disposal of an appeal. Once it is so, we are unable to discern any reason as to why the SARFAESI Appellate Tribunal cannot entertain an appeal beyond the prescribed period even on being satisfied that there is sufficient cause for not filing such appeal within that period. Even if power of condonation of delay by virtue of Section 29(2) of the Limitation Act were held not to be applicable, the proviso to Section 20(3) of the RDB Act is applicable by virtue of Section 18(2) of the SARFAESI Act. This interpretation is clearly borne out from the provisions of the two statutes and also advances the cause of justice. Unless the scheme of the statute expressly excludes the power of condonation, there is no reason to deny such power to a Appellate Tribunal when the statutory scheme so warrants,” a Bench comprising of Justices J.S. Khehar and Adarsh Kumar Goel said. The Apex Court thus had no hesitation in holding that the Appellate Tribunal under the SARFAESI Act has the power to condone the delay in filing an appeal before it by virtue of Section 18(2) SARFAESI Act and proviso to Section 20(3) of the RDB Act. The Madhya Pradesh High Court had held that the power of condonation of delay stood excluded by principle of interpretation that if a later statute has provided for shorter period of limitation without express provision for condonation, it could be implied that there was no power of condonation. It was further observed that the object of SARFAESI Act was to ensure speedy recovery of the dues and quicker resolution of disputes arising out of action taken for recovery of such dues. Dealing with the conflicting views of the High Courts on the subject, the Apex Court said the approach of the Madhya Pradesh High Court was erroneous and incorrect understanding of the principle of interpretation which has been relied upon. The Apex Court approved the view taken by the Madras, Andhra Pradesh and Bombay High Courts, but for different reasons. 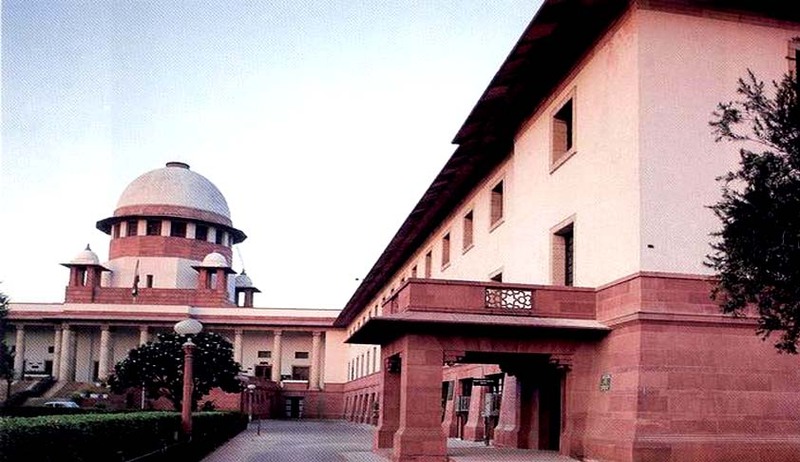 The SC said that the view taken by Andhra Pradesh High Court in Sajida Begum vs. State Bank of India, AIR 2013 AP 24 is based on applicability of Section 29(2) of the Limitation Act. “In our view, Section 29(2) of the Limitation Act has no absolute application, as the statute in question impliedly excludes applicability of provisions of Limitation Act to the extent a different scheme is adopted,” the Court said in its judgment rendered today. The Apex Court has answered the question in the affirmative by holding that delay in filing an appeal under Section 18 (1) of the SARFAESI Act can be condoned by the Appellate Tribunal under proviso to Section 20 (3) of the RDB Act read with Section 18 (2) of the SARFAESI Act.